The Eagle's Lodge: Revolution And Us ! What if ? Revolution And Us ! What if ? Tunisia's population need to be thanked for blowing that wind of change which is today striking the arab world. A sandstorm that no living being could have predicted. Instantaneous, Strong and Devastating are the words which describe most legitimately the uprising of the tunisians and egyptians. No leaders, just simple people like you and me (actually not really) going down in the streets to ask for their voices to be heard. A brave man is not one who is not afraid, but one who faces his fears. United States and Democracy ! The United States of America has as far as I can remember been fighting for democracy. Democracy everywhere. War on terror for what ? For putting in place Democracy! They fought the afghan people for what ? Democracy! They fought the Iraqis for what ? Democracy! They are not friend with the Iranian because of what ? Democracy! They are not friend with the North Koreans because of what ? Democracy! I am not saying that those regimes are legitimate and right ! But there are countries that are dictatorships and they wouldn't do anything about it, because those countries are either poor or do not have natural resources ( like petrol for example). That's their reason and what they want us to think they want to do. They want to put democracy everywhere. But it is indeed a blattant lie. Why ? Simply because when oppressed people are living in Egypt, in Tunisia, in Yemen, in Algeria under the same regimes for more than 3 decades ! The US are supporting their armies annually with cheques of billions of dollars. To keep the population under control. Why didn't they cut down the money and force the regimes into democracy and free and fair elections. Because they do not want some people to be free. Because they fear what those people could do if they were free. They need those people to remain oppressed so that in the mean time they can steal the arab oil. But not only !. They want also Israel to remain secure. Israel has been comitting crimes, assassinations, oppression on the palestinians without any of the arab countries standing up against them. Why ? Because their armies are paid and equiped by the USA ! The Leaders of those states were supported by their US ally and could remain in power. For decades the Israelis have been oppressing the palestinian people who were blocked between israel and Egypt and had no supports apart from the Lebanese Hezbollah. 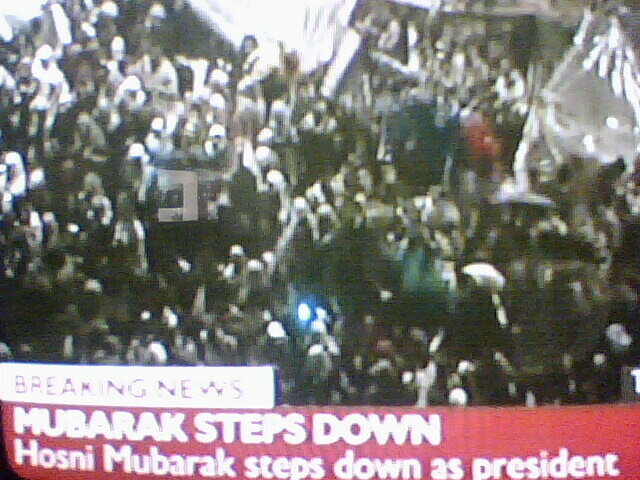 Now, they have Egyptian and Tunisian allies who would rise up for them. The Israelis have been fearing ever since the uprisings that the new leaders would be a danger to the Israelis. What we can expect now is that the Israelis will stop their oppression on the palestinian people as they have very little supports in the region. Out of its 3 neighbours, only Jordan remains its ally. Mauritius in all that ? The Egyptian people had only one fear, that Mubarak's son would come into power sooner or later and their main claim was that the regime is brought down. Including all the ministers. 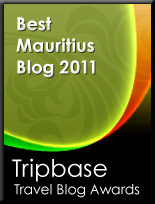 What have we been seeing in Mauritius over the past 40 years ? The same people in power ! Isn't that the same thing which is happening in the dictatorships ? Prime Minister from father to son! The regimes here change but ressembles each other. Some families are at the government house for 3 decades and more. How come they are still ruling ? The governments change but the same people are there. They just make alliances amongst themselves and go back to power. The actual PM has been 3 times Prime Minister ! That would be 15 years of reign ! 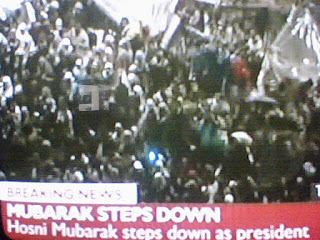 It is half of what Mubarak did in Egypt ! Berenger has been on the political scene for more than 40 years ! To what avail ? Has he changed anything to the lives of the people he was defending ? In Mauritius, However, our politicians are not greedy, at least not greedy enough, for us to ask them to step down. They have developed the country and that's their main merits compared to the arab dictators. However, One day and mark my words, The time will come that the Mauritians will want change. And History shall witness it that the voice of the people of Mauritius will echo across the universe. A real change! Not a mere party slogan for elections. What is your opinion ? Do you think this can happen in Mauritius ? Like the article below if you think it was worth reading !! or leave us a comment ..